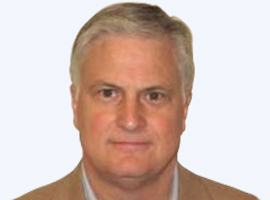 Miratech welcomes Tony De Cicco as the Vice President Customer Intelligence to build the Genesys Practice at Miratech. As a seasoned executive from Genesys, Tony brings a deep understanding of client service coupled with an unparalleled expertise of supporting Genesys products. Tony brings to Miratech over 30 years of leadership experience in developing and growing strong service and sales organizations. His extensive background in the technology industry includes client services, product management, sales, and business development. In his new position, Mr. De Cicco will help to leverage Miratech’s engineering expertise and long-standing Genesys-Miratech partnership into a global Genesys Practice at Miratech. Commenting on his new position, Tony said, “During my time at Genesys, Miratech was a premier provider of Genesys services. Miratech’s exceptional delivery capabilities are highly regarded by both clients and competitors. I am delighted to leverage my knowledge and experience to help build Miratech’s global offering”. “Tony’s background and expertise provides an essential element to our global growth strategy, particularly for our Genesys Practice. As Miratech continues to grow, Tony will be a critical contributor to our pursuit of relentless performance”, states Stewart Christ, Senior Vice President, North America.